For all the thrills of a haunted house with none of the social interaction, these 7 scary mobile games are sure to give you nightmares--or a few laughs. The departure of Playdead's co-founder turns out to be from a long and messy power struggle. Here are some of the craziest video game theories that you need to know about. The brilliant follow-up to Limbo is headed to PS4 much sooner than expected. Indie puzzle-adventure game Inside is already being described as one of the greatest games of 2016, if not of our generation. 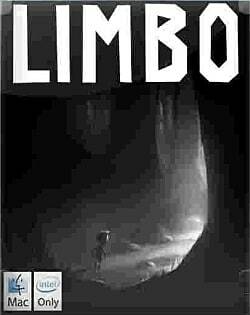 Add Limbo to your Steam account by June 22 at 10 AM Pacific Time and keep it forever. A theory on how four indie 2D platformers pay tribute to the Nintendo game that started it all. The PS Plus Instant Games Collection update for August has arrived and, as always, there's a ton of diversity and value for money! Free Incoming Mystery Gifts for Day 1 Users of PS Plus in Celebration of 5th Birthday. The much-anticipated 2nd game from Playdead has been delayed until 2016. Have no time on your hands? Feeling the itch to play games? Here are some games that are great for short play-sessions! Got too much choice for Indie games? Take a look at this list and maybe grab yourself or someone else real gems of indie games. Sony will host the 14 for '14 sale beginning on January 14th and running until January 20th. Great games listed within.